• Modular design allows for any size and configuration. • Easy to use connections allow for changes any time. 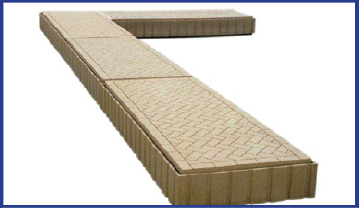 • Attractive, no-slip, sandstone coloured patio brick pattern.